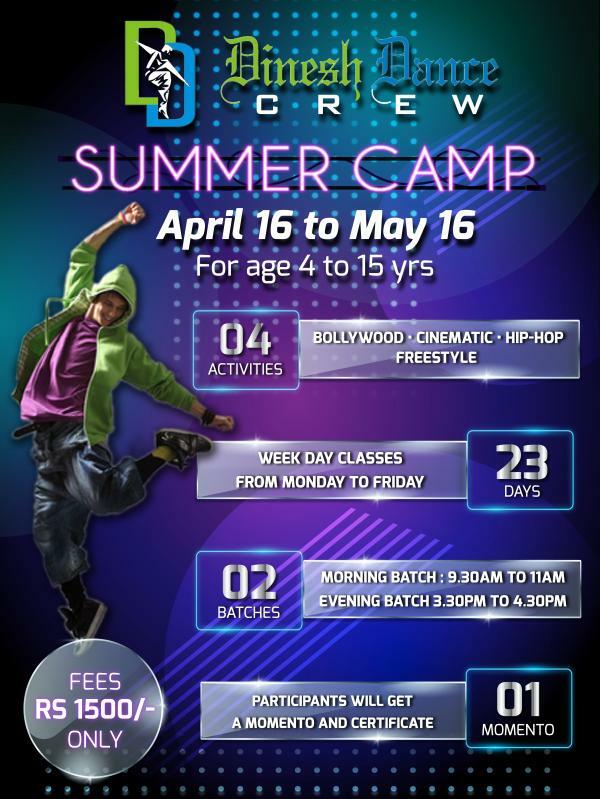 SUMMER CAMP at DINESH DANCE CREW Kodambakkam, Chennai. Let’s enjoy this summer with fun learning Dance. Get a certification on this summer camp. Unlimited registration.